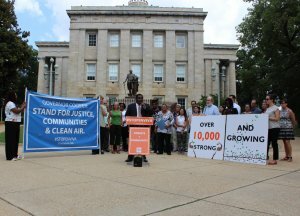 Governor Cooper’s lip service to climate change and environmental justice has gone on long enough. Action speaks louder than words and his continued support of wood pellets, pipelines, and other environmental injustices says it all. Governor Cooper: We call on you to stand by your vision of clean air and a healthy environment as the path forward to a strong economy and healthy future. 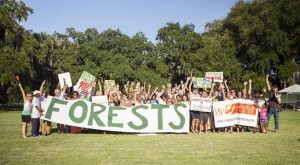 We call on you to stand for the environment, stand for justice, and stand for forests. Governor Cooper: Where do you Stand? To be a champion for communities and the climate, a leader must stand up and make tough decisions when it really matters. 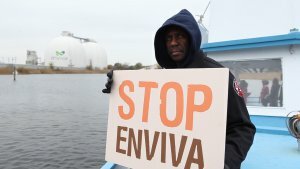 But Governor Cooper let our communities and our climate down. In the face of big money and corporations, Governor Cooper was silent when his constituent’s clean air and clean water was at stake. It’s time that Governor Cooper break the silence. Do you stand for forest destruction and pipelines, or do you stand for innovative solutions that will take our state forward? 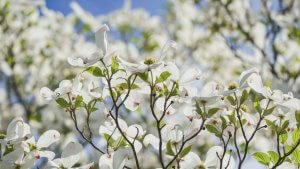 Dogwood had a wonderful turn out at the LEAF festival in Downtown Asheville! 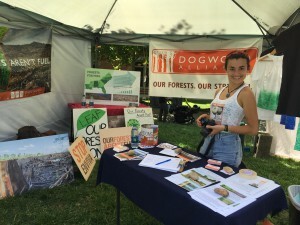 A big shout out to all the staff members and volunteers that came out and promoted our Biomass campaign! Thanks to your enthusiasm we were able to collect over 200 photo petitions to send overseas to European policy makers.